Dine on the 1st floor of The Eiffel Tower in Paris, followed by an evening cruise down the Seine and end the evening with a show at the Moulin Rouge! 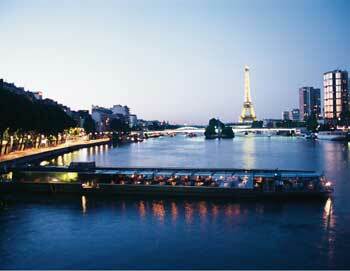 A perfect evening and one of our most popular tours in Paris! You will start the evening by enjoying a lovely dinner with drinks a thet Restaurant 58 Tour Eiffel, located on the 1st floor of the Eiffel Tower. The experience will give a new meaning to the idea of a 'dinner with a view'! 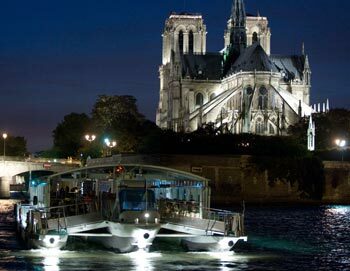 After dinner, a boat from Bateaux Parisiens will wait for you by the foot of the Eiffel Tower, which will take you on a cruise on the Seine River, so you can enjoy the beautiful monuments and buildings of Paris at night. After the cruise, a bus will drive you to the Moulin Rouge, where you will then see the show 'Féerie' - the latest Moulin Rouge cabaret. Here you'll be served a half bottle of champagne to enjoy during the show. A luxury coach will drive you from the attractions and back again, and there will be a French and English speaking guide with you the whole time. The tour is operated in Engish and French. Shortly after your booking has been completed your e-ticket will be sent directly to your email, just print it out and bring it on your tour. Please be there at least 30 minutes before the tour starts. The tour ends at the back at the PARISCityVISION office in Paris. You will be asked on the bus which hotel you are staying at, and if it is in the centre of Paris, the bus will stop in the vicinity of your hotel, so you can get off there. No, the show at the Moulin Rouge is not suitable for children, and children under age 6 are not allowed in the theater. - The restaurant 58 Tour Eiffel and Moulin Rouge are always very popular, so there might be waiting time and lines to get into the restaurant and into Moulin Rouge, which obviously is out of our control. 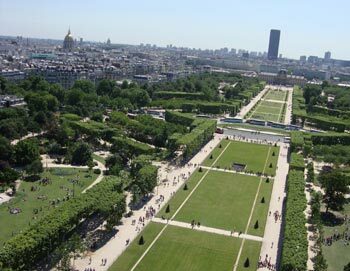 - You are not guaranteed your own table at 58 Tour Eiffel even if you are a larger group of people, you might share it with others. - In some rare occasions, and sometimes due to the weather, you will attend the cruise before you dine at restaurant 58 Tour Eiffel. This often happens with a very short notice, so we do not have a chance to warn you. We apologize for any inconvenience it might cause you. 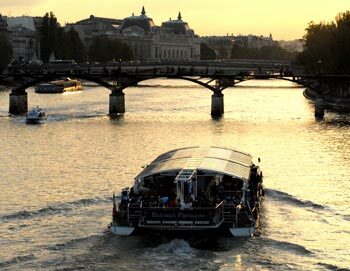 - In some rare occasions, the river cruise will not be available on your booked tour date. You will then receive a ticket for the river cruise to be used at your convenience another day.